It should have been glaringly obvious. There was a 3rd option that above all others made the most sense. Option 1 was definitely ruled out. Too may cons and the only pro was a more efficient microwave. Option 2 didn’t pan out too well as I could not find another microwave that was shorter in height as well as depth. Even countertop units were limited. 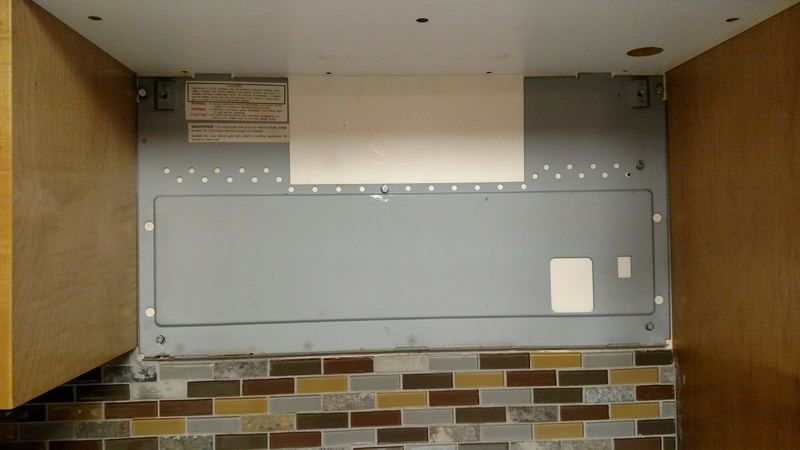 I could either have a unit that was shorter to give me more space between that and the gas range, or one that was not as deep so it didn’t stick out as far, but not both. So option 3 it is. Re-install the old unit. Its not that it was broken, it just doesn’t work as efficiently as most. A cup of coffee takes about 2 minutes to warm up, where the microwave at work does the same job in about 30 seconds. I know. First World problems, right? Ha! I had only thought to buy one now because it seemed to make sense to get it at the same time as the new oven/range. Lesson learned. Don’t replace what is not broken. It is only delaying the inevitable, of course. Eventually it will need to be replaced, but maybe by then they (GE, Whirlpool, LG, Samsung, etc) will figure out that bigger doesn’t necessarily mean better and I’ll be able to find one that fits the space better. Until then it seems I’ll be spending a little more time warming up my leftovers before enjoying them. But first I’ll have to put back what was pulled out last weekend!